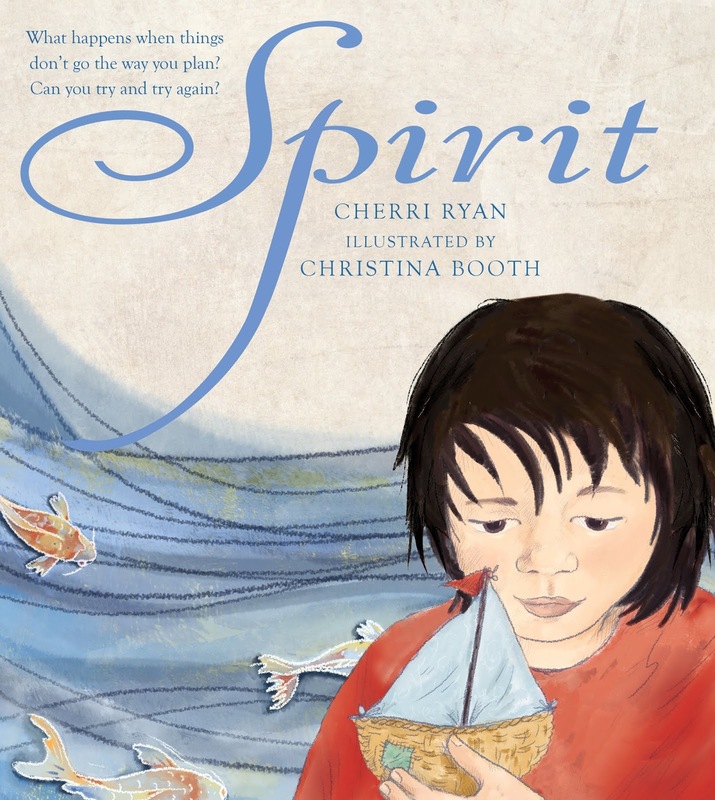 Powerful and deeply moving, Cherri Ryan’s Spirit is a story of hope and optimism presented at two levels. Filled with imagination, it initially appears to be about a boat made from this and that and sent forth with a passion by the girl who made it, to test its strength and durability. Behind the words, another meaning is revealed; one of courage and self-belief; that of the progress of the human spirit that won’t be broken or shattered, even under the most difficult and challenging circumstances. The stunning end pages prelude Christina Booth’s elegant hand drawn, full page illustrations using digital media. Her work breathes life into Cherri Ryan’s simple yet effective text, just as the girl blows life into the boat’s sails. Every word is meaningful, carefully considered and valuable, creating strong imagery through the use of emotive language, metaphors and alliteration. The pivotal theme is never giving up. This is presented without a shadow to dull the positive energy and tenderness that fills each page. This is a treasure to be owned and gifted; a book that says a lot within the limitations of a picture book’s word count. We think so too, Norah. :-) Ed.